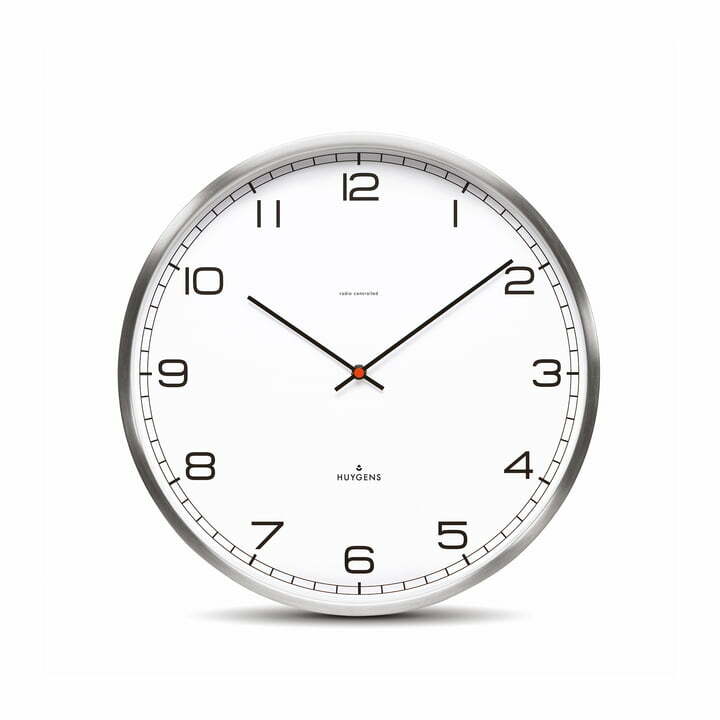 The One wall clock by Huygens with its accurate design is an instant classic with a remarkable timelessness, quality and durability. 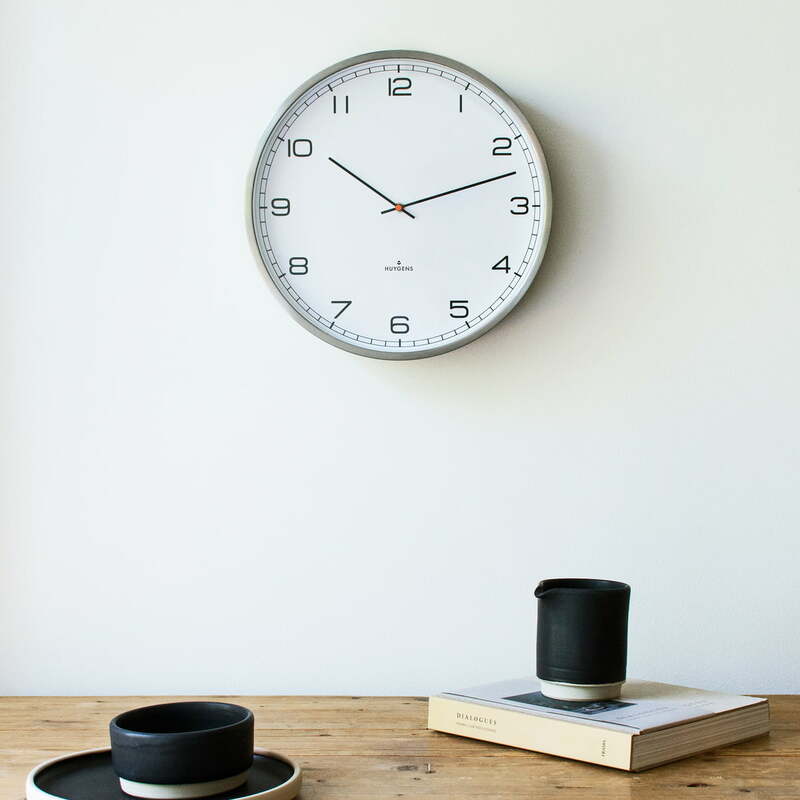 The case of the radio-controlled clock is made of brushed stainless steel which in combination with the recyclable polypropylene back not only looks good but is also very reliable. Inside there is a high quality Japanese movement, which always shows the right time. The purist design of the dial dispenses with numbers and marks the minutes with narrow lines, the hours with slightly clearer ones. The slim hands and narrow stainless steel rim provide an interesting contrast to the thickness of the clock. This combination of elements creates a balanced and pleasantly neutral appearance for the eye. As on all Huygens clocks, the One has a discreet dot in the Dutch national colour in the centre of the dial - in orange. However, since many people prefer numbered clocks to unnumbered ones, the Huygens One wall clock is also available in a version with Arabic numerals. 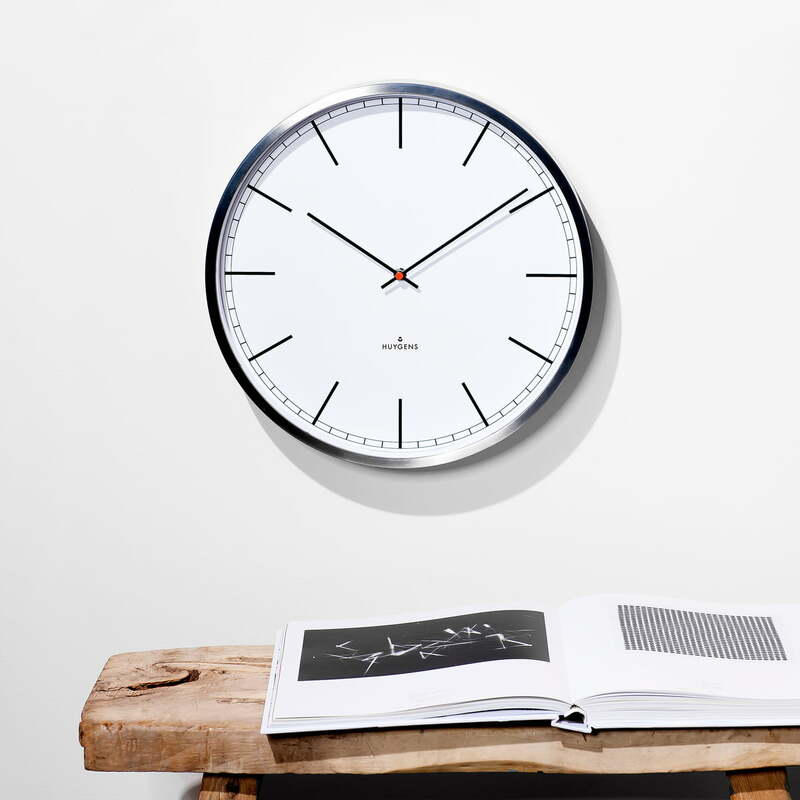 In addition, the One wall clock designed by Wiebe Teertstra is also available as a radio controlled clock. This ensures that the exact time is always displayed and eliminates the need for manual summer/winter time changes.